Insurance Times has revealed the performance of the top 24 insurers and MGAs in our new digital Five Star service ratings, based on the scores brokers awarded providers in the Broker Service Survey 2018/19. 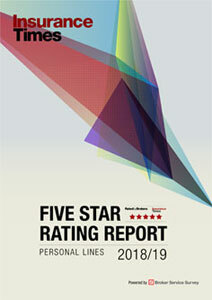 Subscribers have full and complete access to the digital tool from our Insurance Times Five Star Rating Report. To gain key findings from our Insurance Times Five Star Rating Report, brokers who are non-subscribers can have partial access by clicking here to register. Covea scored five stars, the highest award, in our online tool for brokers to assess insurers and MGA service levels. 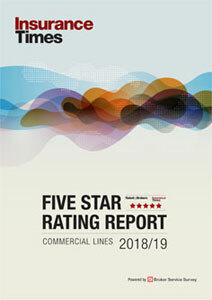 The insurer is one of three insurers to receive five stars for service for commercial lines insurers, based on the scores brokers awarded insurers and MGAs in the Broker Service Survey 2018/19. Insurers and MGAs are rated out of five stars across five service levels, based on the ratings brokers gave in our commercial lines broker service survey. Aviva came top of the four star performers, one of eight insurers to gain four stars. Another major insurer, AXA, received three stars for overall service performance. AXA is one of nine insurers to receive three stars. Insurance Times subscribers get full and complete access to the dedicated Ratings website.